I attended a dinner at the Golden Valley Restaurant in Phoenix hosted by Redemption church. 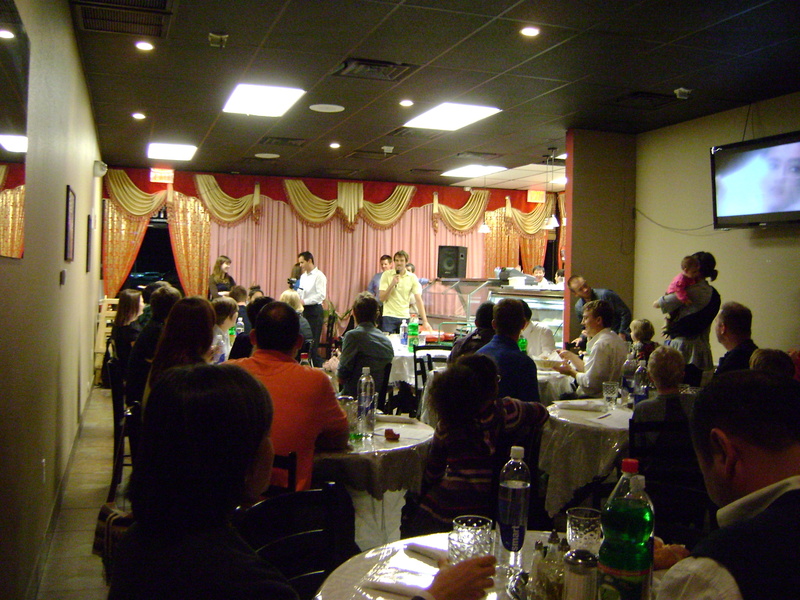 This restaurant is owned and ran by Uzbekistan refugees from the Andijan Massacre of 2005. 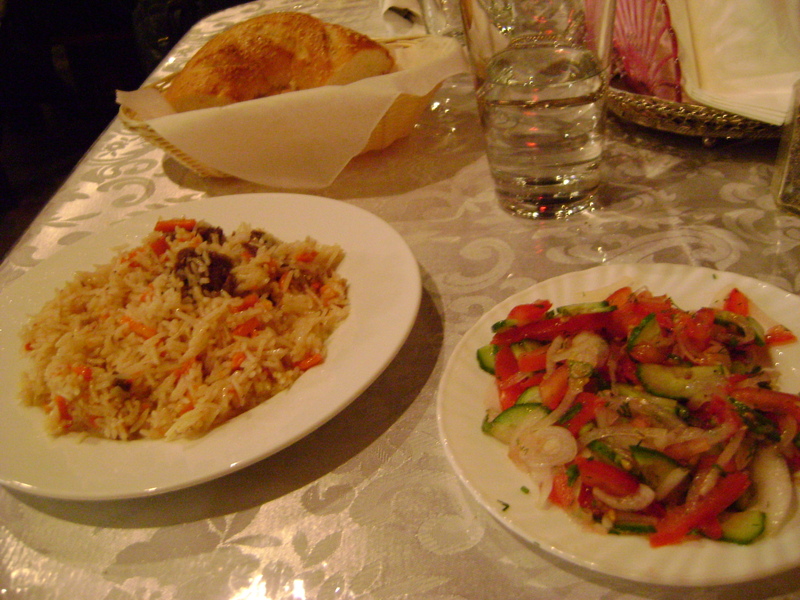 They bring the full flavors and traditions of Uzbekistan’s national dishes from family kitchens back home. In addition to eating some great food, we got to hear the stories from a couple of refugees on how they got to America. Now some of them reside here in Phoenix and have built a strong community and have started businesses to help stimulate the economy. I got to eat with a refugee by the name of Abdurashid. 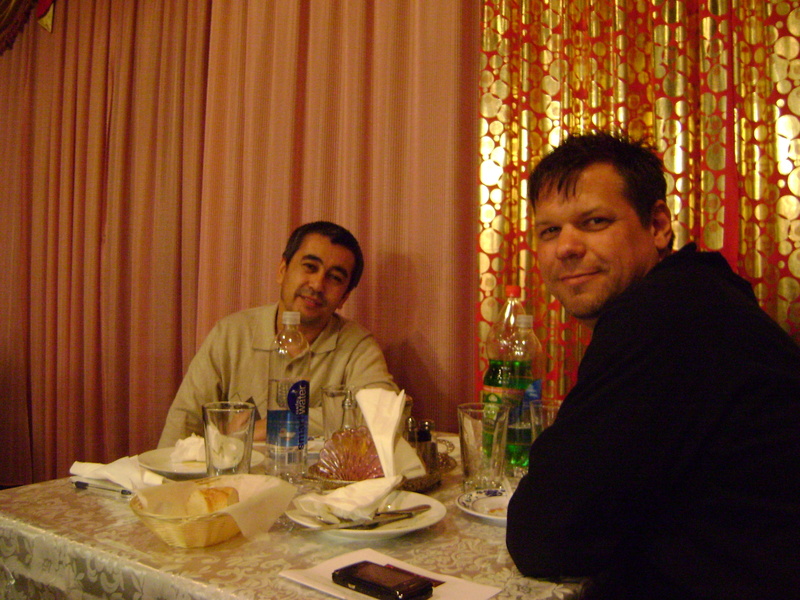 He escaped Uzbekistan in 2006 and left behind a wife and son. Now he is here in Arizona working and trying to bring his family that he hasn’t seen in so long here. He spent the evening sharing stories and pictures with me about life in Uzbekistan and how he got here. He is blessed to have strong community to bond with while here. His story touched my life and definitely put in perspective my own personal struggles in life. 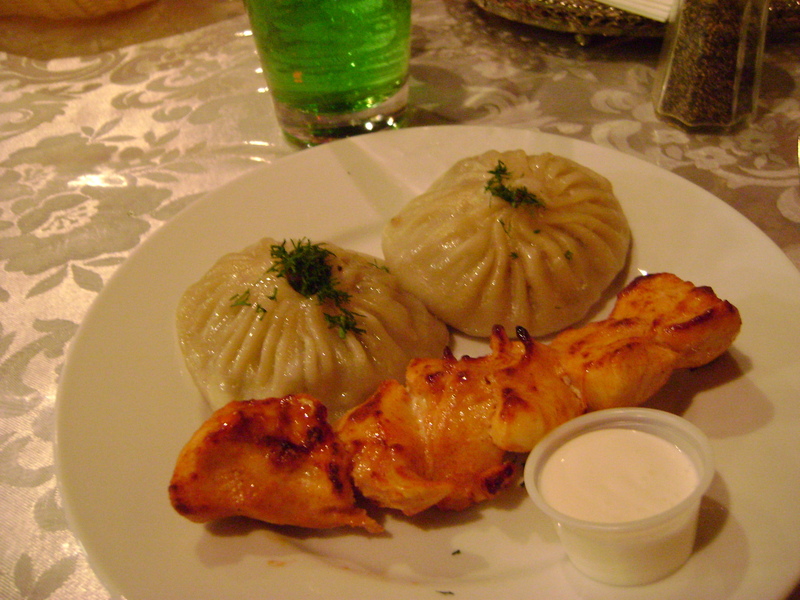 We ate Pilov (rice with meat and vegetables), Manti (steamed dumplings with ground beef) and chicken kabobs. There is an amazing website dedicated to the story of these refugees called Uzbek Justice Initiative and how you can get involved. Read about how God is using them here locally. Below is a video about the Andijan Massacre from the film Through the Looking Glass. This entry was posted in Culture and tagged Andijan Massacre, Golden Valley Restaurant, Golden Valley Uzbek and Mediterranean Restaurant, kabob, Manti, Peace Catalyst, Pilov, Redemption church, refugee, Through the Looking Glass, Urbanspoon, Uzbekistan, Zomato by ttimmons. Bookmark the permalink.